Every bride wants to look flawless for her dream wedding day. She wants everything to be pitch perfect; from her outfits to jewellery, makeup to hair. 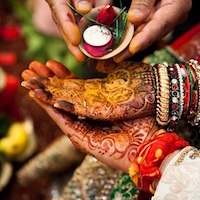 This is the most memorable day of her life and of course, it needs to be planned precisely. When it comes to makeup, eye makeup is not of sole importance. The correct choice of bridal lipstick colour is essential too. 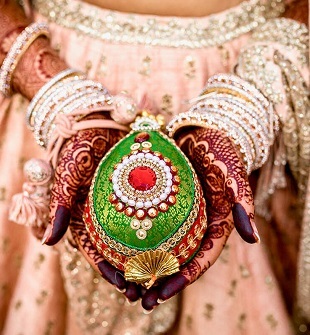 While choosing the perfect shade for an Indian bride, a lot of factors have to be kept in mind. The colour coordination of the lipstick with not only the outfit and jewellery but the skin tone is important for the best look. Confused? No worries. Here are 10 bridal lipstick shades for an Indian bride that should definitely grab a spot in your beauty kit. Here are the 10 best bridal lipstick shades that should definitely grab a spot in every bride’s beauty kit. Liquid lipsticks have gained rapid popularity which they actually deserve. The best long lasting lipstick for weddings combined with the beautiful colour of berry red should be your very first pick. It’s bold, unique and matches all kinds of outfits. Pink and its shades are another exclusive colour for brides. 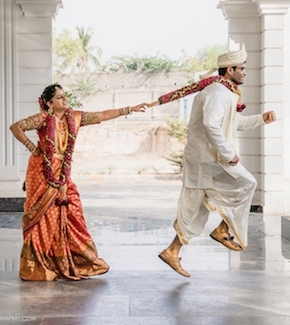 Red has become a very common colour for Indian weddings, and pink is a bold, unique comeback for the brides. Go for one of the top bridal lipsticks by gliding a little pink over your lips! Matte shades, hands down, are beautiful and stunning. and M.A.C offers some of the best of those. Matte are long lasting lipsticks for weddings and give an elegant and pouty look to the lips. Synchronized with matte nailpaints, you can complete your hot bridal look. Another one from the family of pink, this shade is perfect suited for the lovers of berry colours and goes well for Indian brides with a dusky complexion. One of the best bridal lipstick shades, you can choose this if you’re confused between red and pink. A vintage and classy shade, Mauve is an excellent choice for a bridal lip shade. It’s sophisticated and makes your lips look luscious. Recommended: Lakme Absolute Luxe Matte – Mauve Silk. The lip shades in this are an absolute requirement of the beauty kit for your wedding. With a range of absolutely stunning and subtle pastel matte liquid lipsticks, you can go for any colour of your choice for your big day. Brown is another exquisite and bold shade and is the choice of many Indian women. A bold brown can compliment a heavy lidded smokey eye makeup and can go with darker shades of lehenga. Recommended: L’Oreal Paris Infallible Le Rouge Lipstick – 814 Forever Frappe. An upcoming shade, dark peach or coral peach is an absolutely stunning shade. It’s subtle, soft and long lasting and gives a beautiful, elegant look. Recommended: Nykaa paintstix- Peaches and cream. Get ready for your D-Day in style with these mesmerising bridal lipstick shades that can be the companions of your beauty kit. Let us know your favourite in the comment!